Susan Acker-Walsh offers a powerful blend of entrepreneurial drive, vision, and keen business acumen that uniquely equips her to launch complex business initiatives and bring them to fruition, create new businesses and develop them into major players in their market space, and adeptly support virtually all functional areas within an organization. Energized by growth and change, she has served as a “Jill of All Trades,” holding the titles of Chairwoman, CEO, Chief Executive, COO, President, SVP, and VP at various points in her career. In all of these diverse roles, she has consistently delivered results, spearheading business turnarounds, imposing order in chaotic situations, identifying business opportunities and conceiving business ideas, and operationalizing and executing those ideas flawlessly. 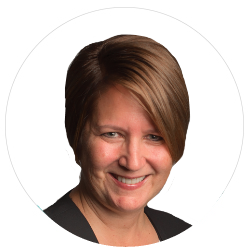 Before launching CREO in 2015, Susan served as President and COO at SciMetrika, a population health research organization, where she led initiatives focused on planned growth and business execution. Before joining SciMetrika, she spent 13 years with SRA International as VP and Director of Health & Civilian Government. She joined SRA via acquisition where she played an instrumental part in the complex integration of Constella Group into SRA’s new Global Health Sector. She was retained to help lead this effort after serving integral roles on Constella Group’s Executive Leadership Team as SVP of Corporate, Organization and People Development and as the Corporate Compliance Officer. As head of Constella’s Corporate Development function, she initiated and led an acquisition strategy that brought Constella into new global markets, doubled the company’s size overnight, and set EBITDA on track for ninefold growth to $18M. Previously, Susan led her own environmental health and safety start-up company. These varied roles have provided invaluable immersion experiences in high-growth and entrepreneurial environments, including the unique experience of building and growing a venture-backed start-up where she raised nearly $20M from Silicon Valley investors. Susan has an MBA from top-tier Kenan-Flagler Business School at The University of North Carolina at Chapel Hill. She serves as an Adams Advisor at the Center for Entrepreneurial Studies, UNC Kenan-Flagler Business School. She is a William C. Friday Fellow, an Emmy Award–winning film producer, an alumna of Springboard Enterprises, and an active member of the local community, having served on the boards of numerous nonprofit organizations.